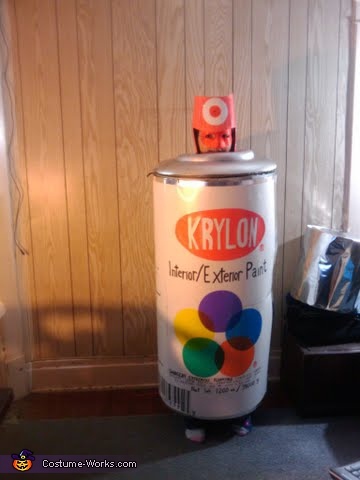 My son wants to be a spray paint can for Halloween. We Googled for ideas, and this came up - it's awesome! How did you get it to attach to the body so it could be worn without falling down? What materials did you use? Please help!!!!! they need to make this a real costume..